Achieve a new speed record in rewriting a textbook. L3T took 10 month to write 50 chapters. The goal is to finish L3T 2.0 in 7 days. Update and complement the L3T textbook to increase topicality. Try out new forms of collaboration in a blended-learning mode. Eight so-called L3T 2.0 camps spread around Germany and Austria are the central meeting points for contributors who don’t want to work alone at home, but meet others face-to-face. Those who are prevented for any reason, can of course support the teams online. L3T 1.0 is licences under the Attribution-NonCommercial-NoDerivs – CC BY-NC-ND license. L3T 2.0 will be licensed under a less restrictive license, the Attribution-ShareAlike – CC BY-SA allowing a better and easier application in education. 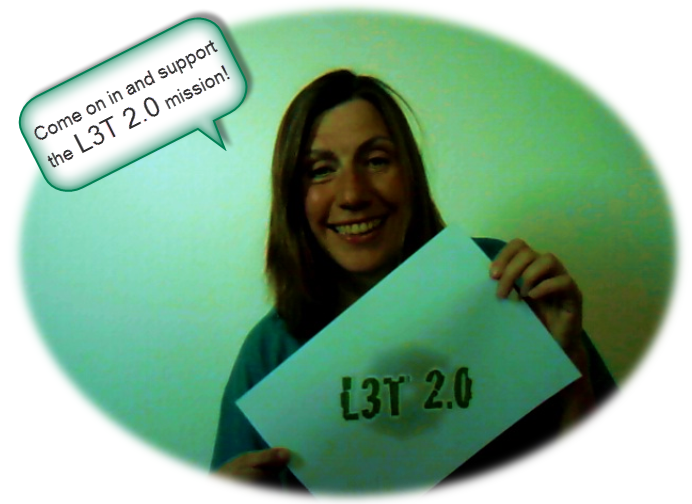 Help to win more prizes for L3T 2.0. L3T is a prizewinning textbook and we hope we can achieve that with L3T 2.0 as well. Benefit from the wisdom of the crowds. It’s your chance to participate in the project, to collaborate and communicate and to profit from the outcomes. The original video was published from Sandra Schoen. I just did the annotations, not that the second official L3T video needed much translation as it speaks for itself. Are you in on it?